Back in October last year we had reported that the release of the much talked about and keenly anticipated Akshay Kumar – Rajinikanth starrer 2.0 has been postponed to April 2018. Later in January we had also reported that the said film would hit screens on April 14. However, now we hear that the wait for the film has just gotten longer. In fact, if reports are to be believed then the release of the S. Shankar directed film has yet again been shifted and will release a month or two later. 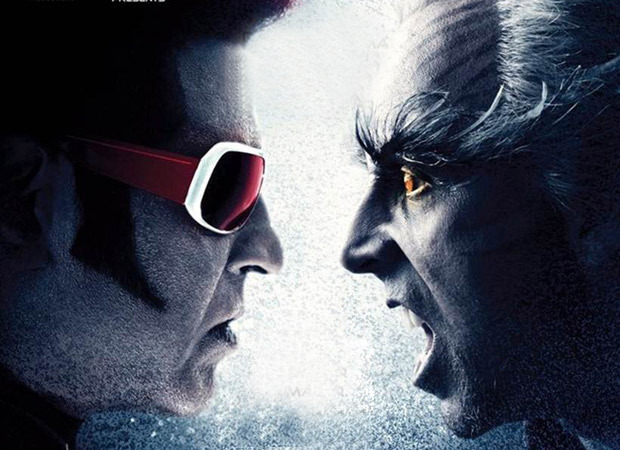 Apparently, the release of 2.0 has been postponed yet again since the film which is said to be high on VFX is yet to complete post production. With major portions of the VFX of the film yet to be completed the makers have decided to delay the release of the film by a month or two. Though a confirmed date is yet to be locked this sudden postponement of the release of 2.0 will more than likely send the 2018 release calendar for other films into a tizzy. Going by the advance trends and market buzz, this delay might result in yet another reshuffle of release dates, somewhat similar on the lines that were witnessed with the rescheduling of the Sanjay Leela Bhansali film Padmaavat. As for the film itself, 2.0 that features Rajinikanth, Amy Jackson and Akshay Kumar is the sequel to the 2010 blockbuster Robot that starred Rajinikanth and Aishwarya Rai Bachchan. Akshay plays an evil villain in this sci-fi film that is a bi-lingual shot in Hindi and Tamil, the film will also have a dubbed Telugu version.